Steve Baker MP has trashed an economic analysis produced by the government’s own civil servants, arguing that forecasts are ‘always wrong’. A minister in the UK’s Brexit department has condemned an official economic forecast produced in part by his own civil servants as “an attempt to undermine our exit from the EU,” after the document was leaked ahead of a crucial Cabinet debate. 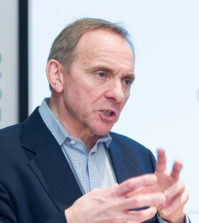 The paper, entitled ‘EU Exit Analysis – Cross Whitehall Briefing’, was developed by figures from five departments – including the Department for Exiting the EU (DEXEU) – in preparation for a planned Cabinet meeting at which ministers are to discuss the government’s negotiating position in advance of the next round of exit talks. Leaked to Buzzfeed News, it forecasts the economic impact of three potential outcomes of talks on the future trading relationship between the UK and EU: continued Single Market access through membership of the European Economic Area; a comprehensive free trade deal; and a ‘no deal’ result. Remaining members of the EEA, the analysis finds, would result in UK economic growth that is 2% lower over the next 15 years compared to current forecasts. A comprehensive deal would suppress growth by 5%, it says; and in the case of no deal, the UK’s economy would take an 8% hit. DEXEU is led by Brexiteer David Davis, and the department played a key role in producing the assessment in order to sidestep Brexiteers’ suspicions of Treasury officials – seen by some Tories as overly pessimistic on Brexit. Cabinet secretary Sir Jeremy Heywood and Olly Robbins, prime minister Theresa May’s Brexit ‘sherpa’, have also come under fire from MPs and commentators. Unnamed civil servants told Buzzfeed that DEXEU had taken the lead in producing the document, but the Financial Times has since reported that the project was initially driven by the Treasury before being picked up by DEXEU acting director-general Susannah Storey. Foreign secretary Boris Johnson and environment secretary Michael Gove are keen to leave the Single Market, but other key ministers including chancellor Philip Hammond want to retain close economic ties with the EU. As May tries to forge a single negotiating position for presentation to the EU, she faces the prospect of a rebellions on either side of her parliamentary party. 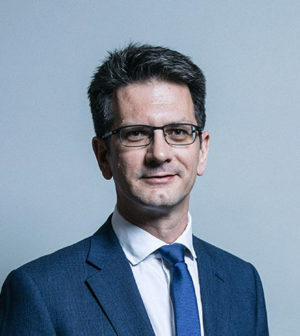 Following the leak to Buzzfeed’s Alberto Nardelli, DEXEU minister Steve Baker told the House of Commons that it was “an attempt to undermine our exit from the EU” and risks “exposing our negotiating position,” Huffington Post reported. Economic forecasts are, he added, “always wrong and wrong for good reasons.” And he noted that the study predicts economic growth “in all scenarios”. A spokesperson for the prime minister later claimed that the assessment has not been signed off by ministers, and does not analyse the outcomes of “the bespoke arrangement we seek as a matter of government policy as set out in the Florence speech.” Such an arrangement could involve unimpeded access to the Single Market without EU or EEA membership, or continued membership of aspects of the Single Market. And outside the Commons, former chancellor George Osborne called for the government to publish the full document. “Government faces a simple choice: either publish their Brexit economic analysis now on their own terms; or lose the inevitable parliamentary motion in the coming days and publish after defeat/climbdown,” he tweeted. Dave Penman, general secretary of senior civil servants’ union the FDA, said that Baker’s remarks “not only insult the dedicated professionals working in his department and across the civil service, but they epitomise the current state of affairs in government. The leak represents the only substantive assessment of the likely economic outcomes of Brexit known to have been undertaken by the UK government since the referendum. David Davis had previously told the House of Commons that his department had a set of impact assessments developed in “excruciating detail” – but when required by the Brexit select committee to produce them, he had to concede that no such documents exist. The new analysis ignores the cash costs of delivering reforms and new services required by Brexit, and assumes that the UK will sign a trade deal with the US and roll over existing EU trade arrangements. Nonetheless, it suggests that almost every sector of the economy and every region of the country will suffer reduced growth under each of the three modelled scenarios. 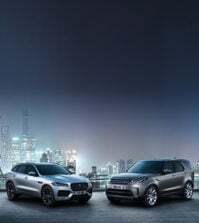 The brunt of the economic impact, it finds, will be borne by manufacturing industries and retail, with the North East, West Midlands and Northern Ireland regions particularly badly hit.